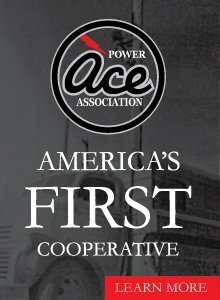 Community involvement is an import part of the work of an electric cooperative – in fact, it is one of our founding principles. Whether it is helping to recruit a new factory or business to the area or helping prepare the leaders of tomorrow through our Washington Youth Tour program, ACE Power is committed to making our service area a better place to live. After all, we call this home, too.